No tattoo cover up here. 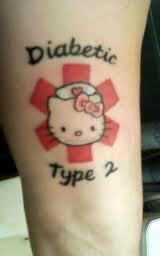 These tattoos not only look cool, but they serve a very important purpose. Medical Alert Tattoos can be a life saving and are typically used to display a severe allergic reaction or an illness that may come on suddenly and require immediate attention. 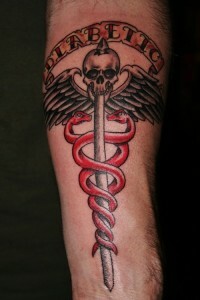 The most popular way to display this is using the traditional medical symbol the “Rod of Asclepius” which has only 1 snake and no wings but it’s often interchanged with the “Caduceus symbol” which has two snakes and wings. The great thing about Medical Alert Tattoos is regardless of the seriousness of the reason for the ink, it still allows people to express themselves and how the illness effects their life. 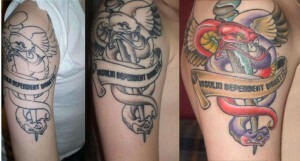 Great tattoos, i am very glad that medical alert tattoo have present in our life. Medical alert tattoos sounds really great idea…These tattoos are mainly used for display any allergic or illness caused to the body..